@MISkier, @jdarwin @ntx - OK. hence, the "?" So, maybe the prices of boats have outpaced cars... $20k in 1990 would suggest about $40k in 2013 would be the boat equivalent based upon car prices. Hmmm. @oldjeep - the point is that the price of the boats may not be rising higher than the price of cars are rising. In fact, it may be rising at a slower pace/slope than cars. Thus, I am contemplating: is the price of a new boat too high? Maybe, maybe not. Back to my first post, the issue with the promo program isn't that the boat prices are too high. The issue with the promo program is the promo purchase price is too high compared to the used market price and demand. Thus, the risk is too high for the promo owner of not being able to resale at an acceptable price. If these two were more in line with each other, then the promo owners would still be line up for boats. @brettmainer pointed out another facet of the context of the market for boats... The used boats still perform quite well. About the only hiccup is the desire for ZO controlled boats. 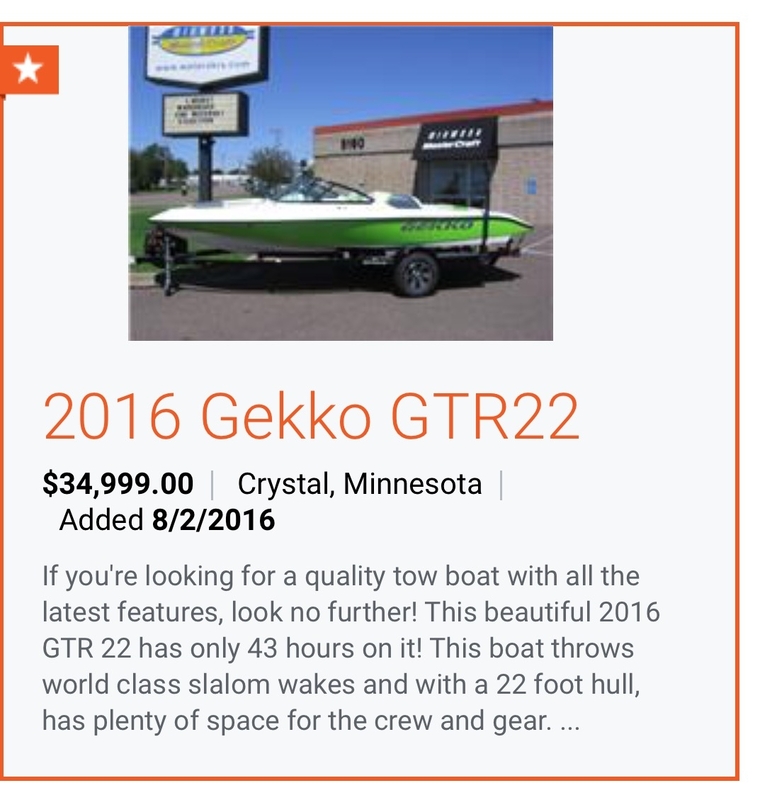 Once the used market is flooded with ZO boats at a depreciated price that matches the market demand price, then new sales will lag. This would further challenge the promo ownership model. @oldjeep - But it was good, too. Made me take a second look and think a bit more. LOL! I looked into becoming the MC promo guy in Utah in 2014 and walked away saying no way not even worth the financial risk on my end. We currently have a Nautique promo in Utah and that is it. Seems like the promo programs are dying just like the sport is. @markchilcutt - I disagree that the sport is "dying" but one of the factors in its decline has been the governing body's (USAWS) inability to change in the face of economic realities. Tournament skiing is shrinking. It certainly will die a slow death if we don't adapt to our currrnet environment. I know they won't do it, but what if the manufacturers leased the boats to the promo guys for the season, then took them back through the dealer network and have them sell the boats? I agree that there is no way I'd be in the program if I am signing up for a $60-70k boat every one-two years followed by a loss on the sale. What happened to making the promo boats more desirable or special when compared to what the used market has to offer? Seems the only thing setting the promo boats apart is a sticker in the window or graphic on the platform. How about allowing full colored deck (Nautique) or special color options not available to the general public? Maybe price breaks on upgrades for the promo owners to give them some leverage against the market. Not sure what is currently negotiated with each brand but give the owners a little freedom to make their boats stand out. My 44 year old, bright orange Correct Craft promo boat is now one of the most desirable boats to Correct Craft enthusiasts. I can't tell you how many times I've heard "never seen one like that before" from the general public at fuel stations and local lakes/rivers. The fact that it's something you couldn't order from a dealer and there were only 15-20 made (educated guess) makes them unique. How do we get back to that point? As a promo owner we are going to have to recoup some of the cost. 2 weekends 25 hours on my 15 CP. A lot of us are eating $2500 to $3000 per year. I have my 15 6ltr with 440 hours on it for 39k negotiable. (Just had a full service)The lack of boats is going to effect all of us in raised entry's. Last weekend 2 current promos and 1 aged out promo. (I hope when it sells he stays in or there will just be CC and CP) in Austin. MC occasionally has a boat here from Houston. Donny C has let his 15 MC be used, but it got 14 hours on it at a tourney. He is not a promo. Just supporting the game. I don't know the answer... but we need to help sell or local promo boats. So the crazy ones that put 50 to 70k out there and let us play with their boats keep doing it. I was a Promo Boat owner from 1987-2014 (Twenty-Seven years of service). I proudly represented the manufacturer at tournaments, worked boat shows, and even helped to sell several boats over the years. This was a benefit and huge marketing service to the manufacturer, with no financial gain on my part. I mostly lost about 2,000-5,000/year on each boat sale. I always thought it was my way of giving back to the sport that I loved so much. I retired from the program after it became clear to me that the promo program was not going to improve. I was asked to do more and more every year, some tournaments were 22 hour journeys (11 hour round trip). The credits were never enough to pay for the gas, let alone the hotel expense. The promo price is not competitive. (Many were able to buy new boats from dealers for the same or even less than my asking price of the used promo boat.) I will continue to be a loyal boat owner and promote their products, but the program is not working, and is on the decline. I feel sorry for those of you that are dealing with these issues: It took me 27 years to finally decide that this was too much of a financial hardship with very little appreciation. 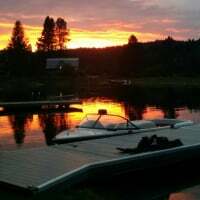 I purchased 28 boats from this company over the years, gave a lot back to our sport, and would still be in the program today, if it had improved. It is past time for the manufacturers and dealers to make serious changes to the programs so they can rebuild their teams. I understand that this is a small part of their market and maybe it is already too late! I would like to hear from people on this site who ski IWWF tournaments in countries other than the United States. Are many tournaments in these countries pulled by older boats? If so, do older boats cause problems that newer ones might not? Is more than one speed control system used in the same tournament? If so, do skiers dislike that? Would skiers rather ski behind a new boat or does it matter? If we want to ski behind newer boats, are we willing to pay for it? That's what it's coming to. I think the whole issue is caused by declining numbers of 3 event skiers. If we could solve that, the boat companies' support would come back. I for one am grateful for the support the boat companies have provided in the past. I am sure that I don't want to ski behind one speed control in one round and a different one in the next. 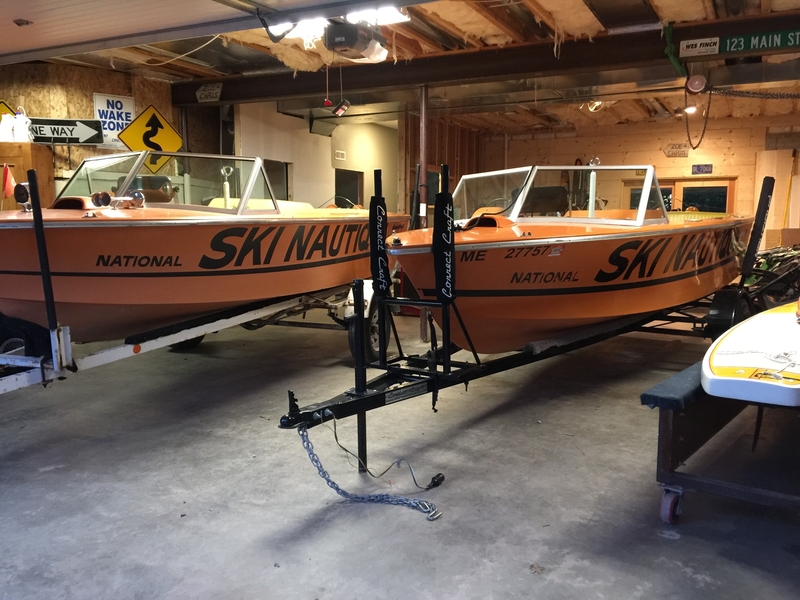 What % of new ski boats do you think are sold to skiers who have any tournament participation? Also we toss around current speed control. That just = zero off. Unless there is some global player? See no reason a GR should be towable on stargazer. @rodltg2 that Gekko should be approved along with the GTS 20. First of all here in KY we've been blessed over the years with good promo people and always have a boat or boats available. In today's environment I don't know how long that can or will last. I think that the mfg and dealers should be more supportive the promo program. Like someone said either provide a lease plan or lower the price so that the promo guy is guaranteed a sale that doesn't dig into his pocket. This may be naivety on my part, but I find it hard to believe that boat mfg can't sell promo boats a lot cheaper and still break even. They don't need to profit on a promo arrangement. What with the outlay of capital, insurance, towing to events the financial burden doesn't make the proposition very appealing to most people. As a long time LOC I'm very grateful for the support of promo people. I've heard horror stories of dealers relationships with promo guys, as if they're competitors with the dealer. They should be partners in support of the brand but most dealers could give a rip about promos guys; Act like they're a nuisance in a lot of cases. Bottom line....tournament skiing is in decline.....the promo program is in decline.....maybe all because of financial reasons. USAWS and the boat mfg do need to come to a position that benefits the sport and dollars are,the problem and the answer. Way back when, the manufacturers were owned by families that had a deep connection to skiing that cared about the sport. Now, all of the manufacturers are public companies or owned by private equity firms. In both cases, they only care about bottom line profits. Its getting tough for the promo guys and the LOCs. I'm all for allowing 91 to 97 MC 190's and 90 to 99 CC SN's with any speed control in Class C and below. Promo team members continue to drop and will continue to do so if things don't change. Support is non existent, if you have a problem you have to call one of the old school former employees to get anything done. Funny how when you tell them what a problem is the first thing they say is "we have not heard of that happening before", You need to call your dealer (when you know of several).....Do the dealers support us...no...do I blame them...no...they want to sell new a boat, that's food on their table. I went over 12 years without advertising a boat and had buyers lined up 3 years out, since 2010 I have wondered each year if this is my last one, now I load them out in case I end up keeping it. I don't make a dime off the boats as I sell them for exactly what I have in them and have made up my mind I will not lose to have a new boat or travel to a tournament that will get deep in my pocket. The market seems to change year to year. I could have sold last years boat 10 times over, this year I have the same colors and one of the better ones I have had but just had the same old tire kickers looking to tell me what my boat is worth. As a promo I do appreciate the sites that do try to take care of us and think long and hard about going to the ones that don't. It makes me laugh when I see people at tournaments say what the promo guys should and shouldn't do when they have never walked in their shoes....and they always seem to be the guys who show up, ski, and leave! @skiboat38 Thank you, and I always feel the same. We are lucky to even have people willing to put their dime down so boats can pull tournaments. The entire premise of this poll needs to be taken into question, and realize nobody owes anyone else anything. The boat companies don't owe anyone a promo program, and promo programs shouldn't decide tournament opportunities. We need to figure out how to make having a boat at tournaments more attractive and beneficial for boat companies, and vice versa, tournaments can be able to use any boat they please. These days less boats are going to tournaments, putting more hours on the boats that do, increasing the likelihood of those boats not returning next year, and then we wonder why tournament volumes have decreased, and backyard tournaments become more frequent. From a marketing perspective, having special run Promo boats, or exclusive options on promo's, seems to be the option of the future. Similar to the old MC Sammy Duvall edition, special colorways, features or options would help increase Promo desirability, value and resale. Current promo programs are a hit on everyone involved, and it will not survive in that manner. Just for information sake - how does the price that promo guys get compare to a well negotiated price at the beginning or end of season. The one former promo guy I know never made it seem like it was all that great a deal price wise, and some of the promo boats (that actually show a price) I see for sale on Ski-it-again are pretty close to the asking price of a brand new leftover. @unksskis "The boat companies don't owe anyone a promo program" Not true. By stacking the deck (via the rulebook) that current year boats are REQUIRED, they do have some culpability in providing a vibrant promo program. If, as you say they don't owe us a promo program, then eliminate the current year rule in the AWSA rulebook - problem solved. @jdarwin I agree, but how much of that is really on the boat companies, or just AWSA? As has been stated, I'm not sure the boat companies find it all that beneficial, at least in the current scenario. Seems to me more like the organization sticking with the old ways of things, and the thought that this keeps things innovating, moving, and dispersing boats throughout the tournament scene, which is not true today at all. I agree, get rid of any requirement of boats for tournaments. If people don't like it, they don't have to ski or attend the tournament. It was frustrating that the only time I was able to ski behind a Mastercraft this year was at Regionals and Nationals, so we're already not getting to train behind what we ski behind in the big shows. I realize we need the boat companies a lot more than they need us right now, so I'm still just thankful to have something to pull me. @oldjeep that is why promo and dealer relationships have dissolved over the past years, they end up competing with each other, and the manufacturer won't help either of them. The Promo person get's a "discount" because they take the boat to tournaments, likely local and regional, promoting, demoing, and overall marketing the brand of boat. The dealer see's this as doing little to no marketing for them specifically, let alone selling boats, and is already stuck with the 3 ski boats the manufacturer required them to order, and they have to place next years order too. So come Fall, promo is trying to unload last years model so that they can place, or have already ordered, their next year's boat. So dealer has 3, promo guy 1, and the manufacturer is still selling them boats, and getting all that marketing giving a boat at "discount" got them. Eventually the promo and dealer relationship goes sour, and the manufacturer is obviously going to support their dealer, and the tournament scene just lost another boat they had relied on being able to use. No one wins in the current system. As @Razorskier1 suggested, getting the dealers involved in participating is not out of the question. Tommy's Slalom Shop in Denver teamed with Malibu to provide a promo, and a local Open skier volunteered to do all the footwork. 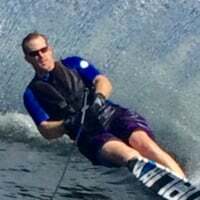 He has not only pulled the Malibu all over Colorado every weekend (including a 5 hour trip over the Rockies to pull our tournament in Montrose), but has also organized and pulled a mid week recreational series that is handicapped, and includes a head to head final, including cash prizes. Tommy's has committed to take the boat back and sell it at the end of the year, and has committed to a boat for next year. Without the help from Tommy's, Malibu, and Bryan Reinke, tournament skiing in Western Colorado would have been a thing of the past. "how much of that is really on the boat companies, or just AWSA? " Both. When AWSA submitted a rules proposal a few years ago to add a 3rd year to approved boats (Class C and under), the Big 3 were at HQ immediately complaining. They do not want the rule to be expanded or eliminated. As for Tommy's support of 3-event skiing, I applaud their efforts. Unfortunately, they are the minority. I made the comment at an AWSA board meeting 10 years ago that the day was coming when sites would have to supply their own boats to host tournaments. For some, that day has come. Dealer who now gets 3 new boats gets two new and one for promo. Promo skier/driver leases it for the time they have it using as their own and takes it to tourneys with a custom wrap highlighting the dealer and perhaps does one stop instead of a tourney as a learn to ski/ski better day with the dealer. @6balls is spot on. The local dealer and promo should work in concert together to promote the boat, sport and brand. When I sold MC's, our dealer owner would allow some sales team members to run boats for the summer as dealer demos. One just had to cover the insurance and floor plan costs, and keep it looking new of course. Perhaps something similar would work for promo boats?